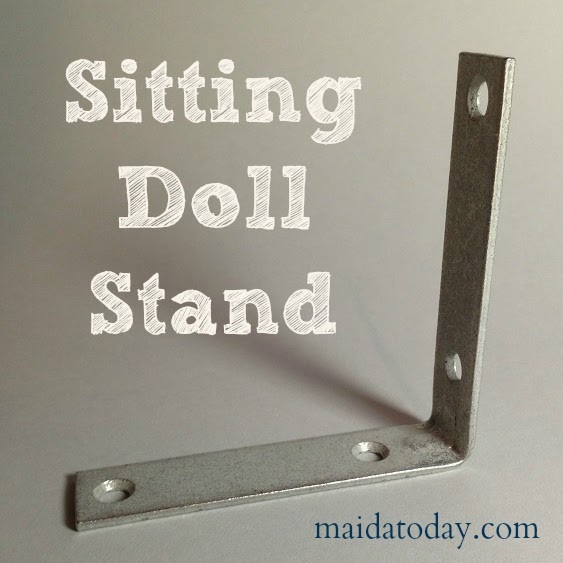 When I was taking pictures of the Babyland Rag pattern tester dolls, I needed a way to prop dolls up in a sitting position without seeing the support behind them. 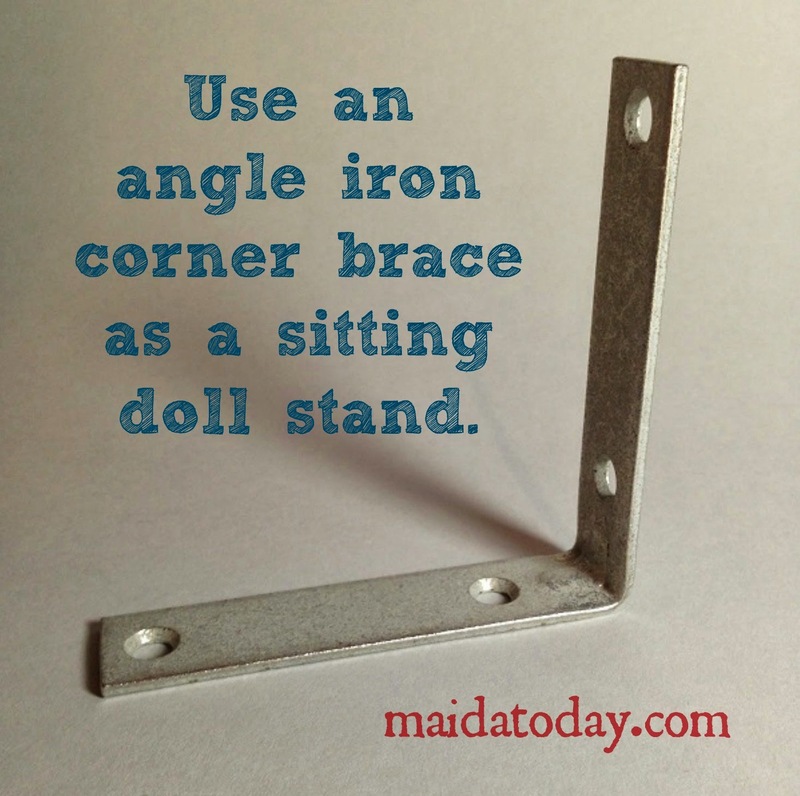 I thought of using corner braces, which can be had for pennies. And it worked very well! 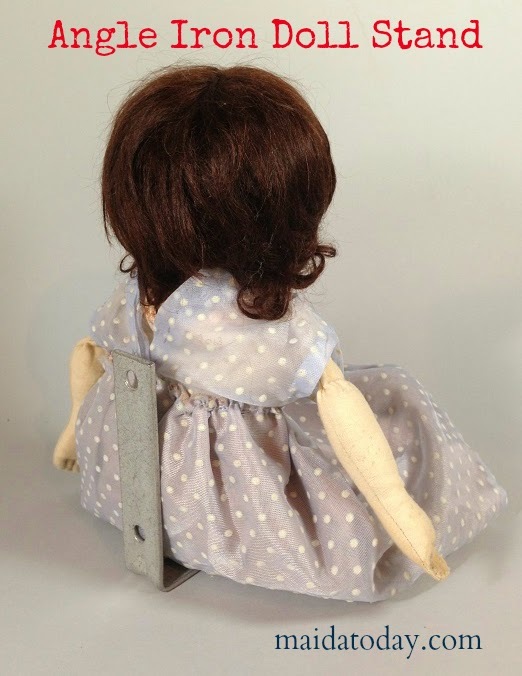 You could put the angle iron underneath the dress and beneath the doll so the hardware is hidden. It was a simple solution, so I thought I would share it!